YouTube signs label deals for Music Key service | What Hi-Fi? After what has been described as "months of acrimonious negotiations", YouTube has now reached agreement that will see music from independent record labels appear on its new streaming service. The video sharing website had threatened to block music videos from indie labels – including those by artists like Adele and the Arctic Monkeys – if there was no agreement over new licensing terms. According to the Financial Times, however, a deal has now been brokered between YouTube and a rights agency called Merlin, which acted on behalf of "thousands of independent record labels". MORE: YouTube music subscription service coming "soon"
And with this latest development, it now appears there is little standing in the way of YouTube's new music streaming service, rumoured to be called YouTube Music Key, which is designed to go up against the likes of Spotify and Deezer. In a recent blog post, Midia Research music analyst Mark Mulligan said the servicem, "should prove to be among the most compelling" services once it launches. 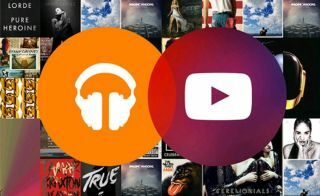 "If YouTube can fully harness its rich set of non-core catalogue assets, such as live concert streams, artist hangouts, YouTube sessions etc., then Music Key has the potential to be the most compelling music subscription offer yet," wrote Mulligan.